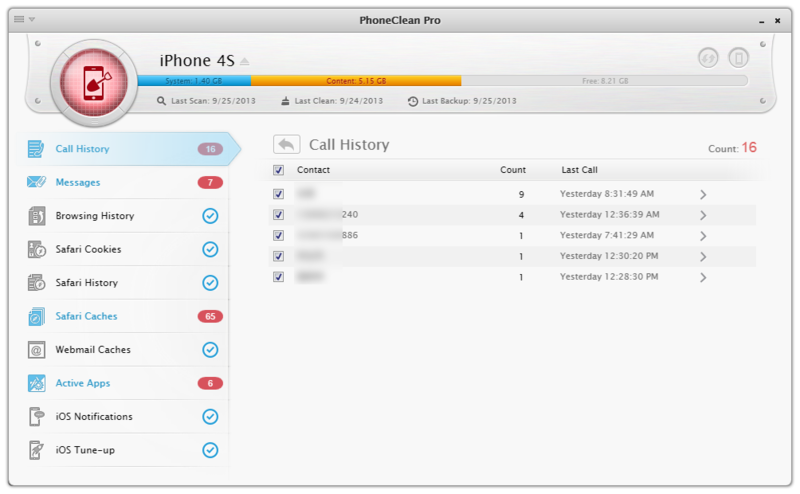 It's not a myth to clear phone call history with iPhone. However, if you want to put more control on this operation, then PhoneClean helps you delete the call log over a specific period of time. Read on this tutorial to check it out. Read on to find out how to get it done. Step 3: after pre-checking this, then you can click the Back icon to get back to scanning result panel. Click Clean to let PhoneClean wipe out these private info for you.